During advanced research on the uses of the Nerium oleander plant, an accidental discovery was made: the unique properties of Nerium oleander provided remarkable age-defying results when applied to the skin. 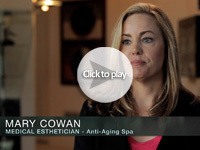 This finding led to the creation of the Nerium AD skincare line. 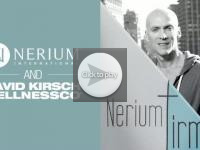 Nerium International Brand Partners represent an exclusive line of products, for which there are no competitors. This exclusively offers a powerfully unique position in the booming multibillion-dollar skincare and anti-aging marketplace. 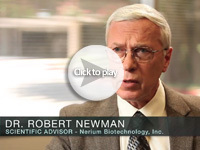 Nerium International’s partnership with Nerium SkinCare, a division of Nerium Biotechnology, enables us to have a particularly strong research and development arm that puts us on the cutting edge of science. Nerium SkinCare is committed to standing behind their products with ongoing research and continuing to explore the full potential of Nerium oleander extract. Currently, Nerium SkinCare is developing additional, revolutionary products for distribution by Nerium International’s Brand Partners. Among these exclusive products are NeriumAD Eye Cream, NeriumAD Age Spot Cream, NeriumDerm Blemish Cream, and NeriumDerm Contouring Lotion. Nerium Biotechnology’s scientists established the world’s only commercial farming operation for the cultivation of the Nerium oleander plant. With strict biomedical field protocols, the farm provides a dedicated and renewable biomass resource reserved exclusively for research and production. Our partnership with Nerium SkinCare goes beyond product development; we are committed to a unified mission of investing in research that has global humanitarian impact. 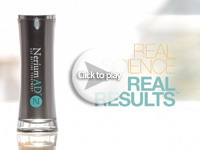 Nerium scientists developed a breakthrough process, NBio-PL2, to extract from the Nerium oleander plant in a way that preserves its unique and beneficial properties.This patent-pending extraction process yields the NAE-8 extract used to formulate this first-of-its-kind Nerium AD age-defying product line.